When Dad showed me the latest picture of the Friends of NeverSeconds kitchen in Lirangwe I starting jumping for joy! Have you seen how big it is? It looks almost ready to start being used. The children are on school holidays but are back very soon. You can see the shelter for cooking that they use at the moment on the right. Malawi has a rainy season that starts in December. I am glad we are not visiting in the rainy season. I think the new kitchen will make cooking easier than the old one if it rains. I can't believe I will be putting the sign up on the kitchen soon. We fly in just 19 days now and I am a bit nervous. It will be World Porridge day on October 10th and I would like to take some Scottish porridge to cook for the children in Malawi to celebrate. 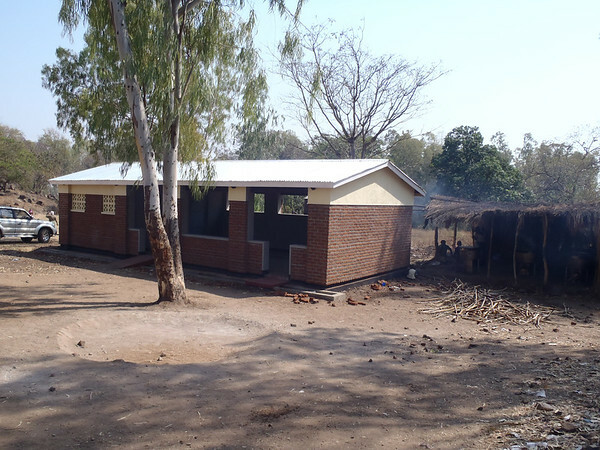 If you send me an email, neverseconds@gmail.com , of your porridge I will post it on the blog from Malawi! That will be cool. I am making a photo album of home, and school and my friends to take with me. I will put in it photos from the blog too. 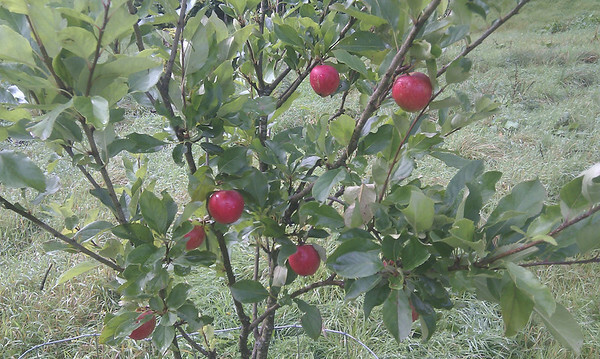 Here's one of my apple trees I planted 4 years ago. It has a wire cage around it to stop wild deer rubbing their antlers against the tree and killing it. Don't the apples look great! I don't think Malawi has apple trees but that is another question for my notebook. I am sure there are apple trees in Nova Scotia where Jagej lives. I think I would like to visit Jagej and share some Mi'kmaq foods. I like venison and crabs but you have to be strong to break into a crab to eat it. Their shells are hard. Thank you Jagej for sharing your traditions and showing us the way you respect everything. Next week we are going to Tokyo, Japan (12 seconds!). It will all be very different again. I couldn't find ingredients for a South Korean meal so I hope I can find some Japanese ingredients for next week! Wow, the kitchen looks fantastic! You must be looking forward to seeing it for real and putting that sign up and it sounds like you're making lots of preparations! Many supermarkets these days have some Japanese ingredients or if you have a shop like Holland & Barret anywhere nearby that might be worth a look too - sheets of nori (toasted seaweed) and sushi rice would be a good start to make some sushi with fish or raw veggies. I'm lucky enough to have been to Tokyo, Kyoto and Hiroshima and fresh Japanese food is lovely! How long is your holiday, Veg? Amazing, that you'll be on your trip soon, isn't it? I was just thinking...how many girls your age have raised so much money for such a good cause. Not many, I venture. Your family must be near to bursting with pride! I'm glad I found you VEG, you've made my world a bit wider. P.S. The apples look SCRUMPTIOUS! Maybe no apples in Malawi Veg, but when I went they had lots of new fruit and vegetables to try - Pawpaw, sugar cane and Cassava. I hope you get to try them too! Are we allowed to submit questions? I am curious as to the source of drinking/cooking water at the school. Wells and springs are rare and expensive in rural Africa, so I am guessing that water is trucked in periodically. My great-grandson thinks that a really long garden hose would be more cost effective. We really need an answer as a fifty cent bet is riding on this. Well done Veg for all your hard work! When are you back to school to review your meals again? The worldwide meals was good but I miss the good old orgionals! Wasn't easy for Veg at school and she's building her confidence up. We've never pushed her to blog but I think she's missing it. well done for raising all the money and giving them the possibility to cook properly! have fun while travelling! That looks superb, Veg. That will make a huge change to all those children. Well done. I'm looking forward to seeing your own pictures of the kitchen, school and children. It looks amazing, and glad I could play my small part in your large part. Well done to you and every other friend of Neverseconds. Hello Veg! I'm a teacher at a girls' school in Tokyo so I'm interested to hear you're coming here. What are you going to do in Tokyo? This is so amazing VEG! I too am jumping for joy :) You have done such an absolutely wonderful thing. 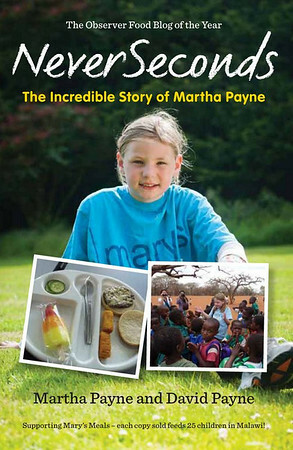 I can't wait to read about your trip to Malawi. I love the apple tree! I wish I had a yard so I could plant trees and some flowering plants.